The Tufts chapter of Engineers Without Borders (EWB) is a collaboration between the Institute for Global Leadership and the Tufts School of Engineering that began in 2005. 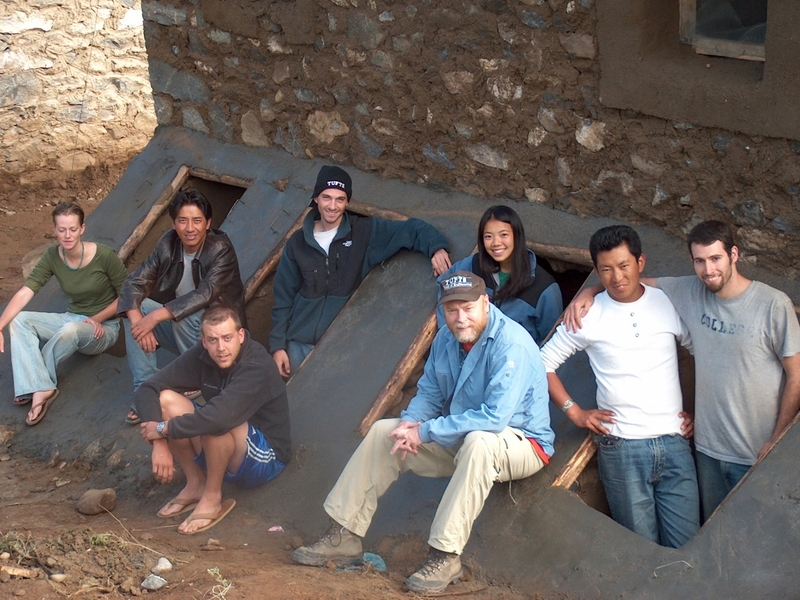 The group designs and implements sustainable engineering projects in developing communities. Tufts EWB is unique in that their membership of 50 students is comprised of students from all disciplines, from History to Chemical Engineering. The students work closely with faculty mentors and field experts to provide engineering support to serve the needs of communities in developing countries. To ensure sustainability, the students build relationships with the communities that they are working in before beginning their projects, develop a plan in collaboration with the community, and engage community members throughout the lifespan of the project. EWB’s first project and trip was to Tibet in the summer of 2005, under the leadership of Sarah Freeman, then a senior engineering major. (She went on to earn her Master’s at Tufts and is now a Ph.D. Candidate at UMASS Amherst after working as a water resources engineer for several years with the World Wildlife Fund). The group’s first project was to produce solar cookers as well as latrines in Tibet. Since then, the group has worked on water projects in Ecuador, El Salvador, and Uganda, spending three to five years working with each community. In 2016, the group partnered with two new NGOs and communities. They adopted two projects focused on clean water access, one in Nicaragua, and one in Malawi. In the summer of 2017, the group traveled to their two partner communities for their first official assessment trips under the banner of EWB-USA. During these trips, the teams of Tufts students strengthened relationships with the communities and gathered data related to water quality and existing water distribution systems. Jennifer Sohn (A’19) traveled to Nicaragua on the 2017 assessment trip. As a biochemistry major, she joined Engineers Without Borders because she felt that working on water access would have a concrete impact, as well as be a learning experience. She describes her experience on the trip: “I was lucky to travel… interviewing community members in the village we're helping, testing their water, and surveying their water system. Meeting the people whose lives we will impact was something I'll never forget. I am passionately aware of the urgency in communities like Silvio Mayorga, and I am thankful to have the opportunity to serve them. I hope that by the time I graduate, measurable steps will have been taken toward improvement and increased water access." Rory Buckman (E’19) traveled on the assessment trip to Malawi in 2017. He describes the work he did on the trip as “an eye-opening experience.” In addition to being immersed in a new and incredible culture, Buckman was proud of the “valuable lessons and ideas” he learned during the trip. When the EWB project groups are not traveling, they meet frequently throughout the academic semester to collect data, build prototypes, and design the systems that they will be implementing. The team also confers regularly with their professional mentors, who provide expertise and guide the projects in the right direction. Both Nicaragua and Malawi are currently in the process of designing water storage and distribution systems that they will build during their next trips in the summer of 2018. In addition to their project meetings, EWB holds regular weekly meetings to discuss fundraising campaigns, grant applications, and on-campus events. Last year, they collaborated with the newly formed Basketball Club on campus and held a basketball tournament to raise both funds and awareness about their current and past projects. They also hold an annual 6K Run/Walk in the spring, which correlates with the average distance travelled by people in Africa and Asia to get access to clean water. As a student group of the IGL, EWB is also contributing to the migration lecture series by bringing a field expert on campus to discuss engineering solutions for refugees in Jordan. The projects that Tufts EWB is working on have the potential to create large impacts in their partner communities in Nicaragua and Malawi. If you are interested in getting involved with EWB or providing advice or support, the group can be reached through the IGL or at TuftsEWB@gmail.com.